Sweet house located in Madison's up and coming Northside! Move-in ready! Updated Windows! New roof 2018, New Dishwasher2018, Water Softener 2018. New wood floors in Kitchen and hallway. Kitchen Updated 2012 with new cabinets and countertops! Appliances updated 2012. Oversized one car garage w/room for all of your toys. Awesome neighborhood! Quiet and friendly neighbors. Corner lot with no sidewalk to shovel! Close to Warner Park boat launch, Dog Park, Willy St. North, Manna and convenient to the Hwy 30 and the interstates. Great house, not to be missed! SchoolsClick map icons below to view information for schools near 1733 Sheridan Dr Madison, WI 53704. Home for sale at 1733 Sheridan Dr Madison, WI 53704. Description: The property at 1733 Sheridan Dr Madison, WI 53704 with the MLS# 1848352 is currently listed for $215,000 and has been on the Madison market for 96 days. 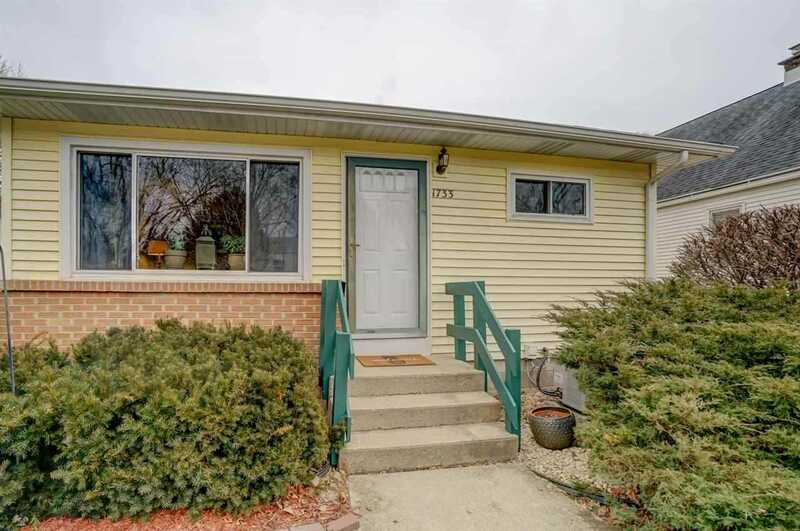 You are viewing the South Central Wisconsin MLS listing details of the home for sale at 1733 Sheridan Dr Madison, WI 53704, which features 2 bedrooms and 3 bathrooms, and has approximately 1510 sq.ft. of living area.